Equestrian is split into three events at the Olympics: Jumping, dressage and jumping. Canada’s own Ian Millar holds the record for the most Olympic equestrian appearances, and matches the record for appearances of an athlete in any sport. In total, Millar has competed in nine Olympics. If you dream of one day surpassing this record, Springfield, one of the largest horse communities in Canada, is your new friend. Within the community, Birds Hill Provincial Park is home to an equestrian facility used for shows and events – including those found at the Olympics. Beginners can start slow and learn the basics on a peaceful trail ride with Birds Hill Ranch. If you consider yourself a jack of all trades, triathlon may be the sport for you, combining cycling, swimming and running. 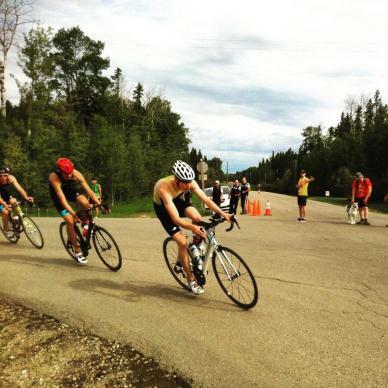 Triathlon Manitoba hosts events from April to October where participants can race across Hecla Island or sprint down Pinawa Beach. 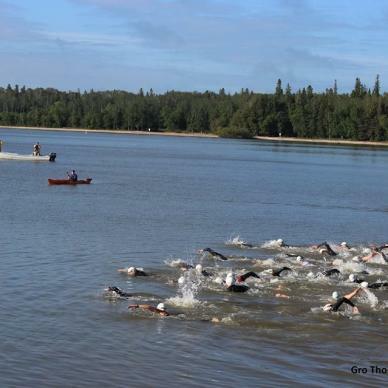 Out of all the sports outlined, participating in a triathlon is the best way to see our province (especially our Provincial Parks) and get active at the same time. Well, Canada has yet to achieve an Olympic medal in Archery – and maybe for good reason. 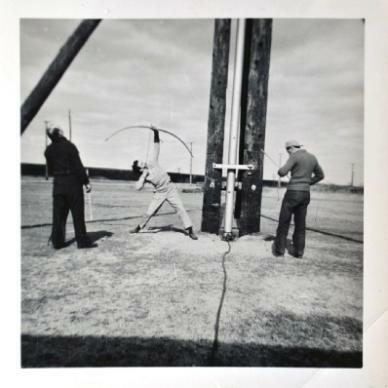 In Manitoba, we’re more into Pole Archery, which was discontinued as an Olympic sport after 1920. On a recent trip to the Belgium Pavilion during Folklorama, I discovered that Pole Archery dates back to the 11th century and was brought to Manitoba by Belgium ancestors who made the journey to Canada starting in 1888. Manitoba is also home to the Robin Hood Pole Archery Club, founded in 1929. 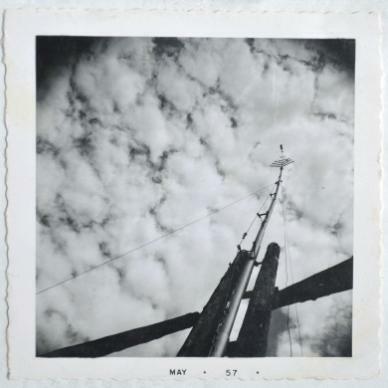 The sport consists of shooting a flat tipped arrow vertically to knock artificial “birds” off a tall mast. Where do we start with canoeing in Manitoba? We have endless waterways and 100,000 lakes to explore, inside and out of our major cities, making it easy to train for an upcoming Olympic event. 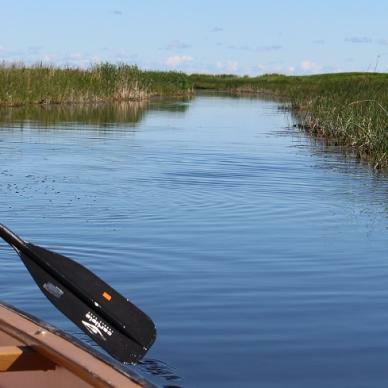 Paddle into the wetlands at Oak Hammock Marsh with daily canoe rentals, or opt for something a little more challenging with one of our 8 routes to paddle. 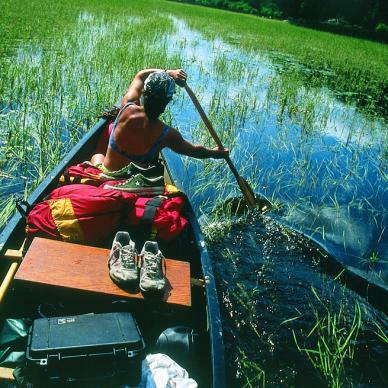 If you’re a beginner who is a little wary of heading out alone, link up with Wild Harmony Canoe Adventures and venture down the Pinawa Channel or into the tunnels of Caddy Lake. 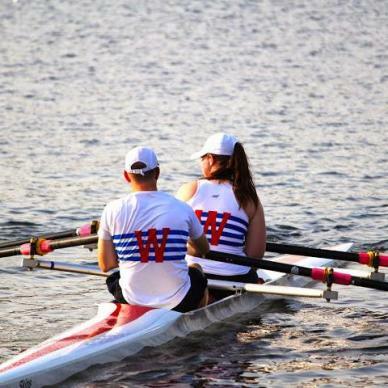 Rowing has been a staple event at the summer Olympics since 1900, so it’s no wonder the sport shares an equally rich history here in Manitoba. 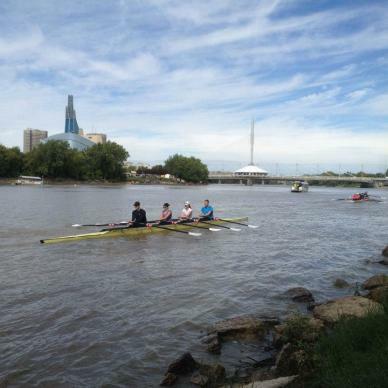 The Winnipeg Rowing Club is located just south of The Forks and has been in operation since 1881, stopping only twice in history during the WWI and WWII. To put that in perspective, the club pushed through the Northwest Rebellion (1885), the General Strike (1919) and even the Great Depression. The Pinawa Rowing Club is a relatively newer player to the Manitoba rowing scene, forming in 1987 on the Pinawa Marina. So, you’ve been leaping to new heights in your own backyard but you’re ready for something more serious? Sky Zone is Winnipeg’s indoor trampoline park where you can bounce, flip and even land in a pit filled with 10,000 foam cubes. It’s the perfect place to train for future Olympic games, with fitness classes, a SkySlam basketball court and dodgeball leagues. 18 holes of gorgeous terrain. It’s been awhile since we saw golf in the Olympics (since 1904, to be exact), so there’s no excuse not to be trained and ready for the event. 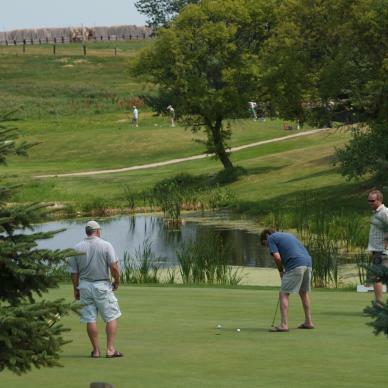 But if you still need some extra practice, start your golfing tour in Southwestern Manitoba where the hills roll, the water meanders and the greens are lush. Next, head to Riding Mountain National Park where Clear Lake Golf Course made Brian Kendall’s list of 10 Must-Play Canadian Courses. 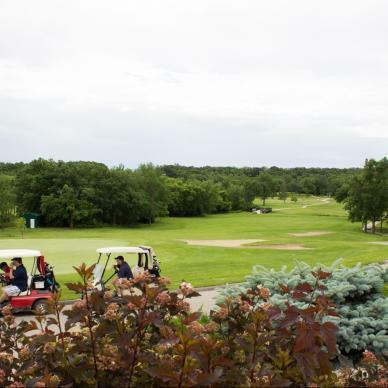 Get the full list of Manitoba’s pristine golf courses! 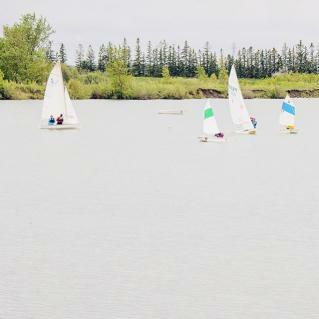 Start your career in sailing at Winnipeg’s urban oasis, FortWhyte Alive, where you can hit the waters for a sailing lesson from Sail Manitoba. The small lakes are ideal for beginner and intermediate sailors of all ages, with programming throughout the summer. Once you’re well acquainted with a sailboat, take the next step with the Gimli Yacht Club. 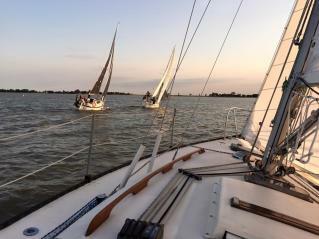 The Olympic event was known as yachting up until 2000, when it was changed to sailing, hence our local club’s name. 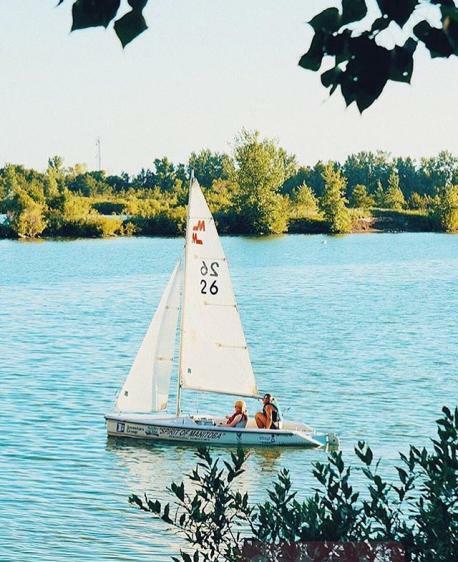 The nearby marina offers all the amenities needed for sailing, as well as lessons on Lake Winnipeg.